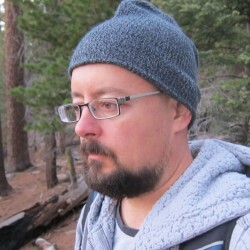 Why write a book about cod? Why read it? Simple. Without you probably knowing it, cod has been one of the most important parts of our diets over the last thousand years. Without it, long distance sea exploration in medieval times (the era, not the ren fair) would've been just about impossible. Cod is a particularly unique fish, eating just about anything and spawning like crazy. It's the frickin' rabbit of the sea! A single cod (well, a single cod who has "coupled") can produce millions of eggs. Once full-grown, the cod has virtually no predators. And yet we still managed to nearly fish it to extinction. 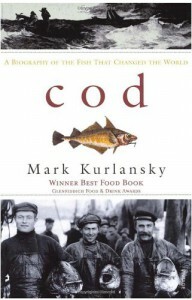 Though he does spend some time on the history, a very interesting history indeed, much of Kurlansky's book is about how man recently almost wiped the cod off the face of the earth...or to be specific, netted it off the bottom of the ocean. Cod spends many of its pages devoted to the current crisis, looking at it from the variant points of view: fishermen, the governments controlling the waters and the catch, and the public's ravenous demand for this tasty dish. Prehaps Cod won't appeal to everyone, but it is written with a sense of humor, gives tons of interesting facts (good pub quiz fodder! ), includes recipes interspersed through out and, most importantly, it's short. My interest is probably stronger than most in that I was born and raised in Massachusetts, where Cape Cod has been vital to our way of life. Fish-n-chip shacks were in every little village, even out in the sticks where I lived (45 minutes away from the coast and Boston is considered "the sticks" in Massachusetts). With the important fishing tradition of Gloucester, Maine, etc., so strongly engrained, most New Englanders grow up thinking of cod as a synonym for fish. Cod is one of those books that most readers will pass up, but the few who do pick it up will be surprised at the high entertainment value and wealth of easily digestible knowledge to be obtained. * Okay, so you didn't really need to strap yourselves in...this time! But you never know what's to come and hey, safety first!